when I want to turn off the music while in deathmatch but it's too good of a soundtrack. When I reach the butcher with a spectacular haul of spoonbill, heron, pelican and hawk feathers.. to suddenly DQ. 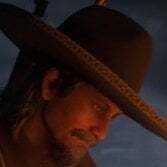 MRW I select to spawn in Ambarino but the game thinks I actually meant New Austin. Everytime I stow birds on my horse I see this scene from Seinfeld before me. When I barely have gotten out from the butchers and see a huge flock of pelicans. 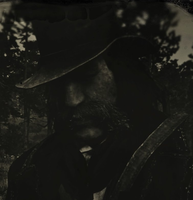 Shoots a handfull of them only to get "Wanted: Dead or alive". When I drive the train and whistle on my horse who think it's a good idea to jump in front of the train. [Insert squishy sound effect here]. MRW someone rushes ahead in a Story mission to farm all the XP. When trying to find someone who is happy with today's big announcement. When I am hunting birds and FINALLY the flock of pelicans fly over that I have been looking for while I am charging down the road on horse back. Rockstar went completely overboard with the Arena Wars dlc. I mean ray guns, please. So I would not be surprised. Somewhere on this board I said GTA would end up in outer space. I was joking but now maybe not.. When I try to figure out a way to break you the bad news - they said months, not weeks. MRW I'm loaded with pelts and I kill a player near a butcher "just in case". Losing my hat with 'Never without one'.